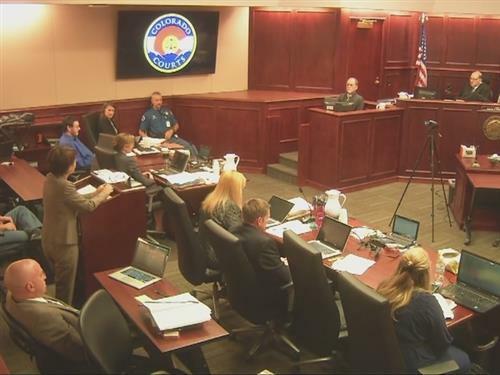 Day 53 in the Aurora movie theater shooting trial – People vs. James Eagan Holmes. Today, the penalty phase of the case begins. The jury found Holmes to be legally sane and therefore guilty when he went into the midnight premiere of the Dark Knight Rises in an Aurora, Colorado, movie theater and opened fire on the audience, killing 12 and wounding 70. 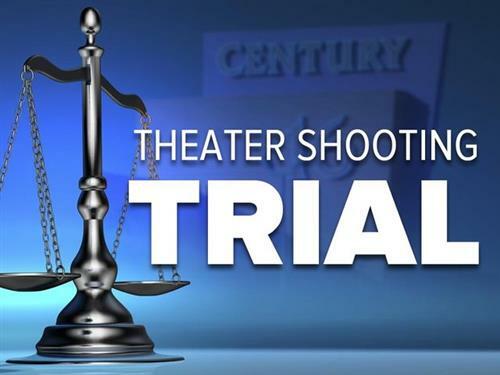 7NEWSThe sentencing phase of the Aurora movie theater shooting trial is now officially underway. When does coverage begin today? I think 830am mountain time. Does anyone here think that insanity will play a bigger part in the penalty phase of this trial? Hey everyone...couldn't get feed up yesterday, but think I got the gist of everything. Question: Did they replay JH 's 5th grade teacher's testimony again? Thought people were referencing having to see it again when I read through later.. (?) It gave me the creeps. He seemed very anxious to pleases...I don't know-it was just was...odd. Good Morning Everyone, Anica, & Phil! So Anica-if we get to phase 2, did DT give an estimate if how long they expect mitigation phase to take...? I know Higgs argued a little with the judge...he said it take be all the way up to Aug 3??? Was that correct? @kdsmith - insanity is off they table at this point. I do think his mental illness will probably get him life without parole. @LOZ-I'm with ya. Insanity shouldn't even still be on the table. Is there any way that PT can get in how much his demeanor has changed since Guilty verdict came in? Or could victim families get it in, in their impact statements? Are those happening today or in 3rd phase...?? @Loz - I as under the impression that he has some mental issues but not enough to keep him from knowing right from wrong. If that be said, I think insanity can play a role on the decision of death vs life? Thoughts??? Good Morning everyone! I will be in and out today, but I might catch up later. They'll likely refer to him being mentally ill, which he undoubtedly is. While they've determined that he was sane during the shooting, a severe mental illness certainly can impair your judgement. 13 if you believe in life at conception. Please don't confuse my question with what I believe should be done to JH. If it were up to me, I'd march him to the nearest tree with a new 6' rope and hang him publicly. I am curious however, how the insanity question might be used to keep JH alive vs putting him in his sisters song. 7NEWSThe man convicted in the Aurora movie theater shooting will not speak during the first phase of the sentencing hearing. I read something somewhere yesterday about how if CO doesn't apply DP to this case, then it will soon be gone in this state. The article said no crime has called for DP more appropriately than this one does, 'not in decades...Remember, he only chose NGRI when LWOP was denied by PT. He started out pleading guilty for LWOP. That was denied. Then he was suddenly "insane". So did both Ms. Spengler and Ms. Nelson represent Austin Siggs? With as fast as the jury came back with a guilty verdict...IMO....it was a mutual agreement fast! Hopefully the DP is on the table for them and that's what they will conclude together. Of course Nelson has something else!!! I agree Tammy. Where were the constitutional rights considered of the 12 slain and 70 plus forever changed and injured...??!? I'm thinking that the mental illness would have already come into play with jury and at this point, its beyond that. Good Morning, m'dears. Something I have been wondering about: If JH is given LWOP, how long *exactly* is that? My understanding is 25-30 years. "That guy" is only about 27 - so he could actually be released, as opposed to staying until he dies, at some point in his life. Clarification, please. Good morning everyone! Nelson is off and running I see. King is sitting at the back table and Brady's in the first chair. Interesting. Glad to see AC there. Holmes must be treated humanely and fairly regardless of what he has done.